Magento image is secure, up-to-date, and pre-configured to work out of the box. 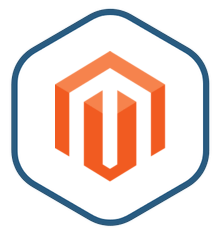 Magento is a powerful open source e-Commerce platform. Its rich feature set includes loyalty programs, product categorization, shopper filtering, promotion rules, and much more. Magento is one of the most popular open source e-Commerce shopping cart systems in the world. It is extremely flexible and has a huge variety of plugins and add-ons to build just about any type of store. Magento powers the main e-Commerce sites for many of the world's most recognizable corporate brands and continues to grow in popularity. Features include built-in SEO, multi-store support, marketing tools, deep analytics, catalog management, shopping cart with support for multiple shipping addresses and payment processors, and more. It comes with a pre-configured sample store to get up and running quickly, and a wide variety of themes and templates to customize your site with your business branding. The Magento project offers multiple editions, enabling your e-Commerce site to grow alongside your business. Powerful, open source e-Commerce platform used by leading global brands. Simple to get started with a pre-installed theme and store, yet highly customizable to project a unique identity and deliver a high-quality shopping experience for customers. Integrates seamlessly with business operations, with the ability to power multiple storefronts using the same back-office, and extensions for CRM, accounting, ERP, payment processing, and shipping applications and services. Written in PHP and incorporating a MySQL database, the Bitnami Magento stack has everything necessary to get a powerful, secure e-Commerce site online and ready for your products in a matter of minutes.